King Tiki 2, originally uploaded by Parris Studios:. So I had to post another picture of the insanely awesome Tiki Jude did, seriously, amazing! I'm sure there will be a picture or two from the trip, I'll make sure to post some, but that also means no posting on Thursday / Friday. this is crazy! 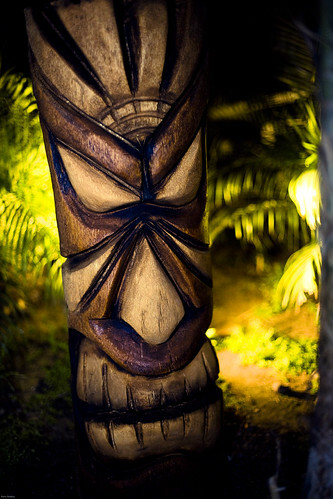 love the night tiki!